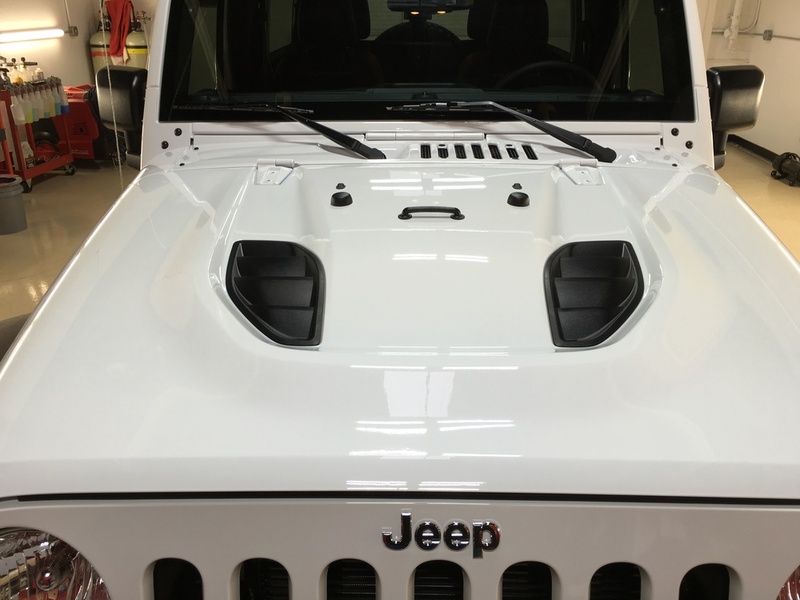 A white 2016 Jeep Rubicon was brought to our detail center by one of our VIP clients. 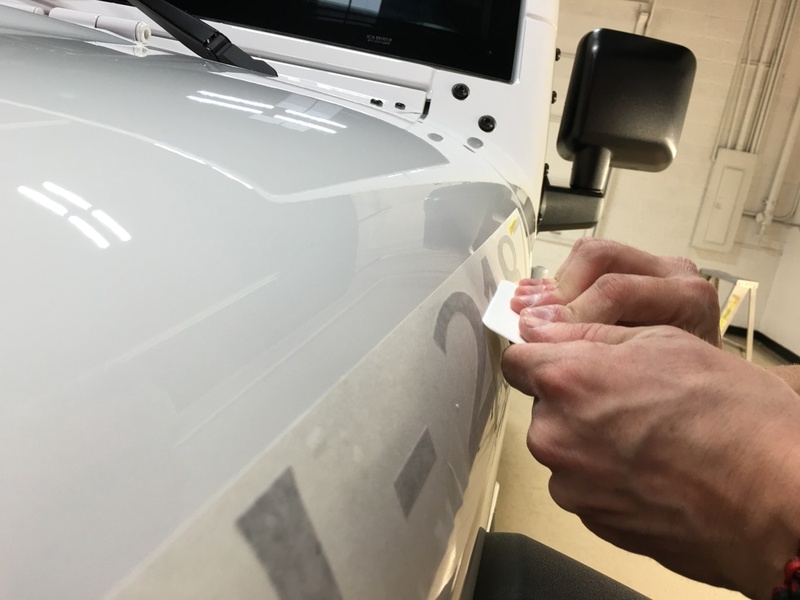 He is using the truck for daily driving as well as offroading, so having the paint in perfect condition was not a priority, although being brand new, was extremely nice to begin with. 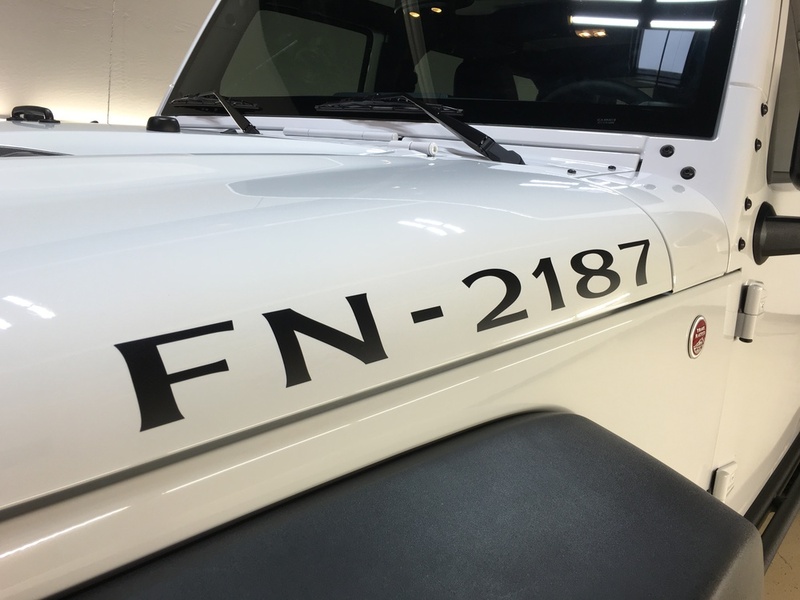 With our client and his family being StarWars fans, they wanted "Rubicon" removed from each side of the hood and replaced with Storm Trooper #FN-2187. We also color-matched the front windows to the factory tinted rear glass with 19% window film. This protects against UV rays so your vehicle's interior won't fade from the sun. 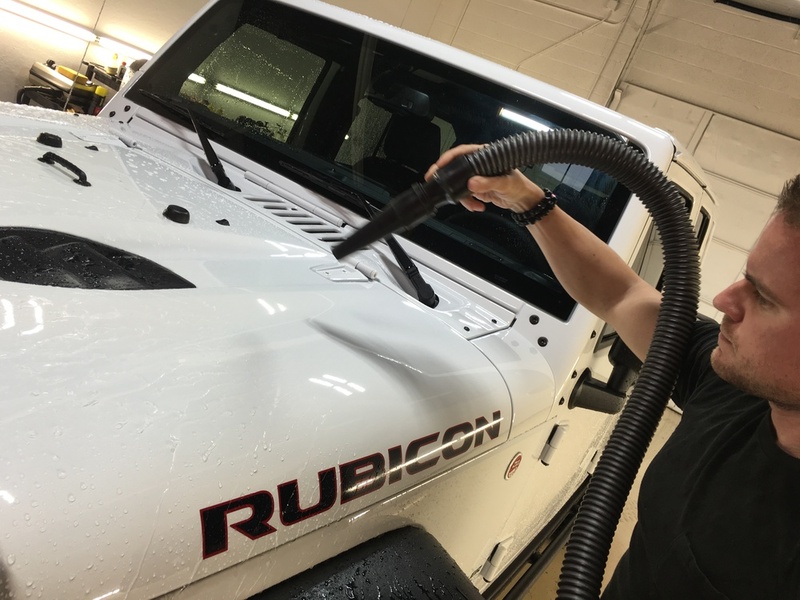 We installed the Ceramic Pro Silver Package on all exterior painted and plastic surfaces to give this Rubicon up to 5 years of protection against minor scratches, bird droppings and bug etchings, water spots, as well as anti static and anti tar properties. After an offroad excursion, the paint will clean up with extreme ease. From the premier detailing company and authorized/certified Ceramic Pro Installation Center in Scottsdale, Arizona, happy detailing!